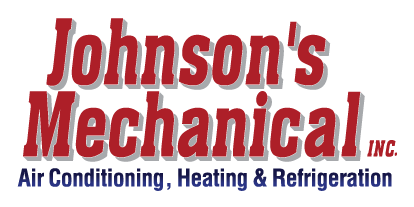 Commercial Ice Machines, Auburndale, FL | Johnson's Mechanical Inc. Commercial Ice Machines, Auburndale, FL | Johnson's Mechanical Inc.
We are available to service your commercial ice machines when they aren’t working their best in Auburndale. When the weather gets hot in Auburndale, Florida, there are few more convenient machines than commercial ice machines. Capable of producing large quantities of ice that keep your customers’ drinks cool, you may find that your commercial ice machines are in one of the most popular spots! So – when your machine stops producing ice, it may be difficult to see the disappointment when your customers can’t get the ice they need. Fortunately, at Johnson’s Mechanical Inc., we have decades of experience working on a variety of commercial equipment, and we are happy to service your commercial ice machines when they aren’t working their best. We provide fast, reliable repairs, and we’ll make sure to get your ice machines working efficiently again, no matter how big or small the problem may be. There is one piece of important advice we give to our customers who keep commercial ice machines, and that is to make sure to keep your equipment clean. We often find that dirt and debris are the holdups, and keeping each component clean will ensure that you get the best results from your commercial ice machines. Of course, in the event that you aren’t sure how to do this, we offer convenient maintenance plans that make it easy to keep your commercial ice machines working well. You can rely on us at Johnson’s Mechanical Inc. for all your commercial equipment repair and maintenance needs in Auburndale. If you have questions about why your commercial ice machines aren’t working or you need to schedule an appointment, contact us today.